Live your dream and share your passion: Starting 2018; What’s next? 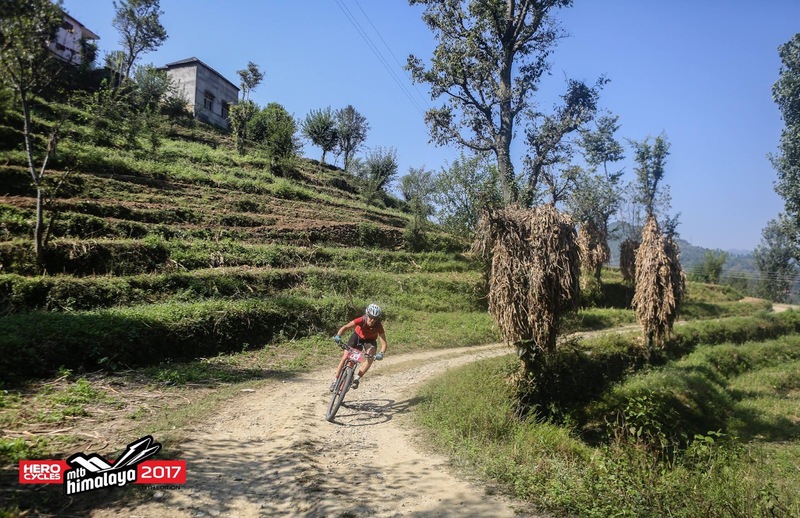 Racing the Hero MTB Himalayas and the challenges I was faced with at the time made it one of my most extreme adventures to date. It was a bit of adjusting afterwards when I returned to "normal life". Spending almost 3 weeks pushing my limits on the rooftop of the world, it was all about the here and now, living in the moment, nothing else really mattered. When I spoke to my coach Rab planning the next 12 months, he said to me “can you please choose something a little less extreme for 2018” but I am pretty sure he knew that that was never going to happen!! I have always been a true racer at heart, not to beat people, not to stand on the podium but to search for my own limits, to find out how deep I could really go. And then try and go that little further the next time. Being injured for close to two years and struggling with a body which simply did not cooperate, that mindset had changed a little. 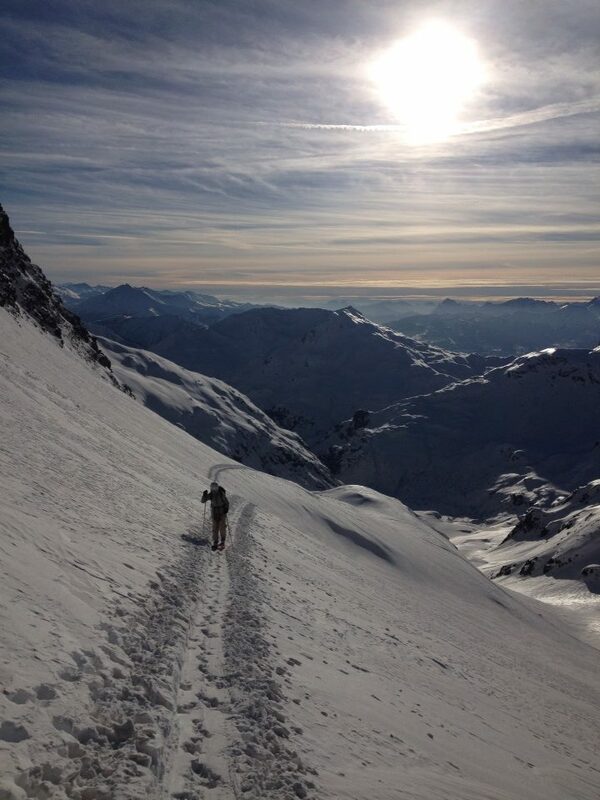 And the desire to race everything and anything I could find had been lost in my recovery period. After been given the ok to run again in November I very ambitiously entered a duathlon which was my last great performance for an overall female win two years ago. Being held in January my multiple layers of ashmei clothing was neatly packed away in my gear bag and my bike was ready to go. But when my alarm went off very early in the morning, I felt sick to the stomach. This was not a bug I had inconveniently caught pre-race but it was simply anxiety. The last couple of years I had raced and trained with continuous pain, pushing every day. 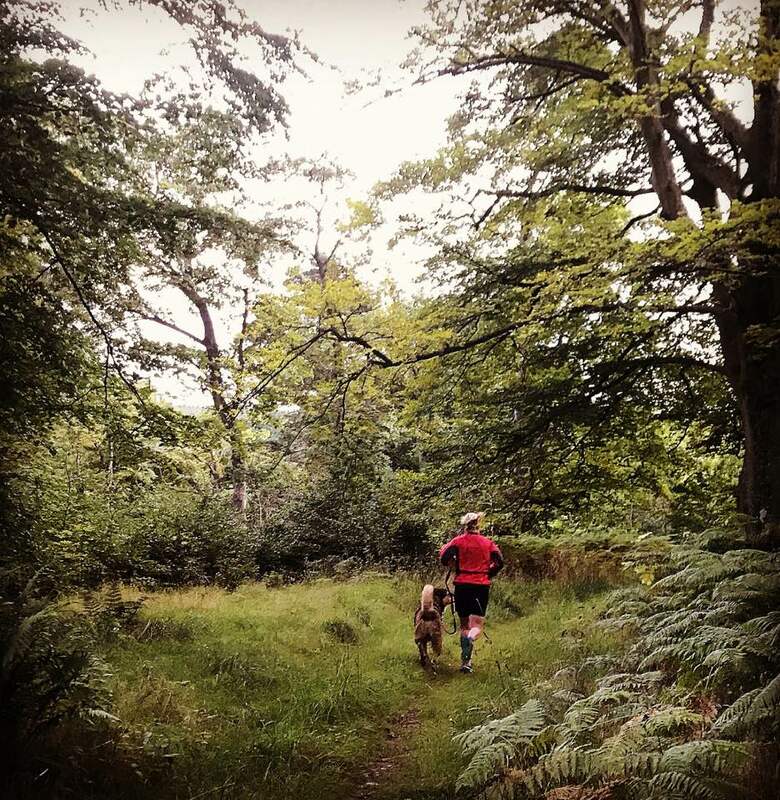 The thought of dragging myself through 3 hours of discomfort racing other people made me feel sick (even though my body was on the road to recovery). So I turned off my alarm, rolled over and woke up 2 hours later. 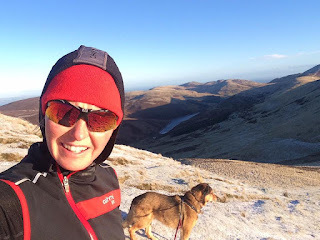 It was a glorious winter’s day and although part of me regretted not standing on the start line it felt like the best decision when I took my dog Fynn (who was very happy) to explore some new trails high in the hills near Peebles. I ended up running for 2 hours which after only managing 40-60min in the last 2 months and almost nothing in the last 18 months this was a huge improvement. And with running fitness slightly lacking, I showed myself I was still quite happy to suffer. Just not always with the clock ticking . So with the racing spirit slightly lost what’s next for me in 2018? 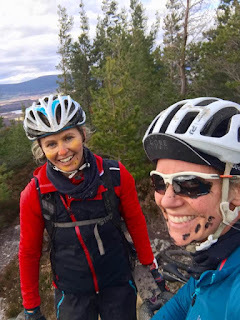 Last year I met Naomi Freireich for a coffee to see if I could convince her to race Offroad-Finmark with me. Although it did not fit in her schedule last year and I was probably too injured to give that one a proper crack, Naomi and I got on like a house on fire and have been riding and racing together ever since. When she suggested a few months back that we should do it in 2018, I jumped at it. 700kms in a maximum of 5 days in the North of Norway and no women’s team who have reached the finish line to date, this felt like the perfect challenge for both of us. 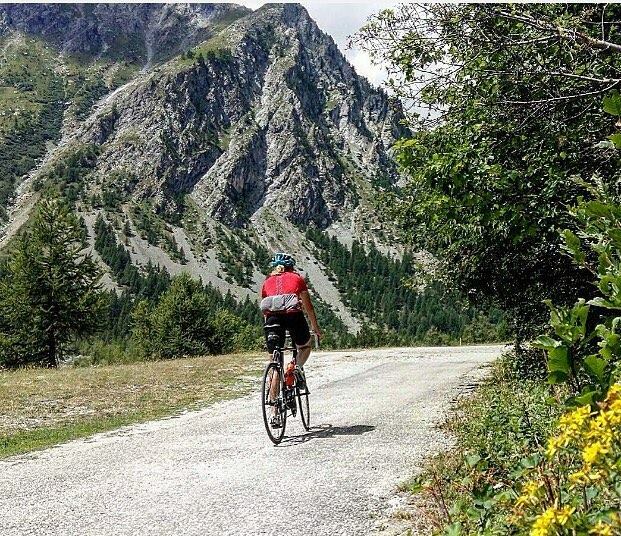 Not long after I entered Offroad Finmark I got an email from StrongHer if I was interested in being part of the StrongHer team and ride 900km in the Dolomites with 15.000 meters of ascend in 6 days. Although I had done one road cycling race in my whole sporting career, this was a no brainer. 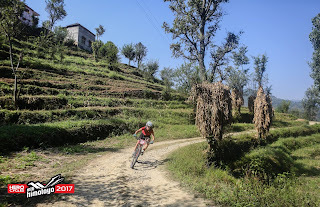 I already did a lot of road cycling for my MTB events and although new to stage racing, I was hooked on multiday adventures with the scenery to match! On top of that, being part of the StrongHer team it meant encouraging other women to join us in the challenge which I really enjoyed doing. 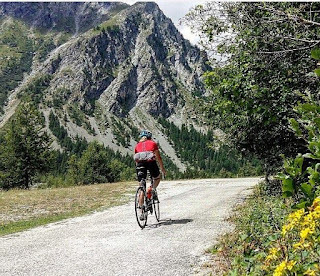 I sincerely hope I can inspire anyone, especially women, through my writing and shared experiences to get on bikes and sign up for The Ride or a similar adventure. Don't die wondering. I fell head over heels in love with the Indian Himalayas last year and would love to go back to the Nepalese side this time. I still have to find a way to do work it out financially and being able to get the right amount of time off from my job. But having met the lovely organisers Corinne and Phil I have no doubt it will be another experience which will be engraved in my soul and something I do not want to miss. These are my 3 main projects for 2018. I have always used other races to find form and fitness and together with my coach Rab we will put a schedule together which fits in with my day time job, keeps my body sound and will keep me mentally fresh to enjoy the process. I am lucky to be located in Scotland with lots of endurance races available over demanding hilly terrain which can prepare me for anything. 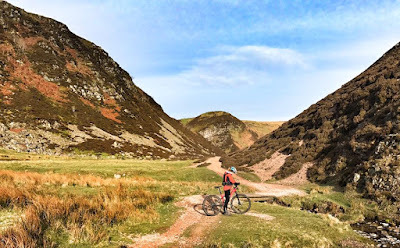 Such as the Strathpuffer The Dirty Reiver Selkirk MTB Marathon, Glentress Seven to name a few. And may be an international MTB marathon such as the Roc D'Ardenne. 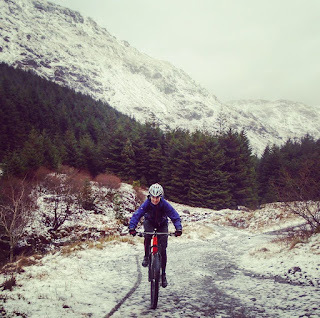 On top of that Naomi and I have locked a weekend every month to prepare us for Offroad Finnmark and get used to our individual pace, mind set etc We are looking at riding Scottish classics such as Capital trail, Cape Wrath trail and others to be as tough as we can possibly be on that start line. Fynn will benefit from my recovery! 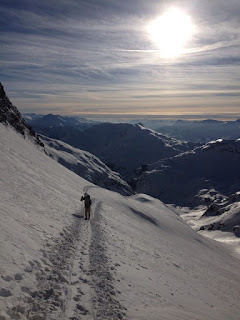 With brand new shiny skis staring at me in my living room I am also planning to make the most of the Scottish winter months by exploring the snow-capped Cairngorms and Highlands whilst ski-touring including a little trip to the French Alps for some powder fix. 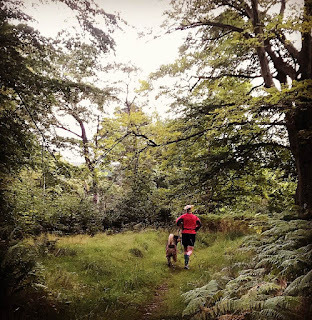 And with my running legs coming back to me, dog Fynn will be spoiled stretching his legs over hilly trails in future. So my answer to the question what’s next? More of the same really, but with a more adventure focus rather than a competitive focus, with people who are likeminded, whilst still pushing my own boundaries wherever I can! Here is to a jam-packed adventurous 2018!